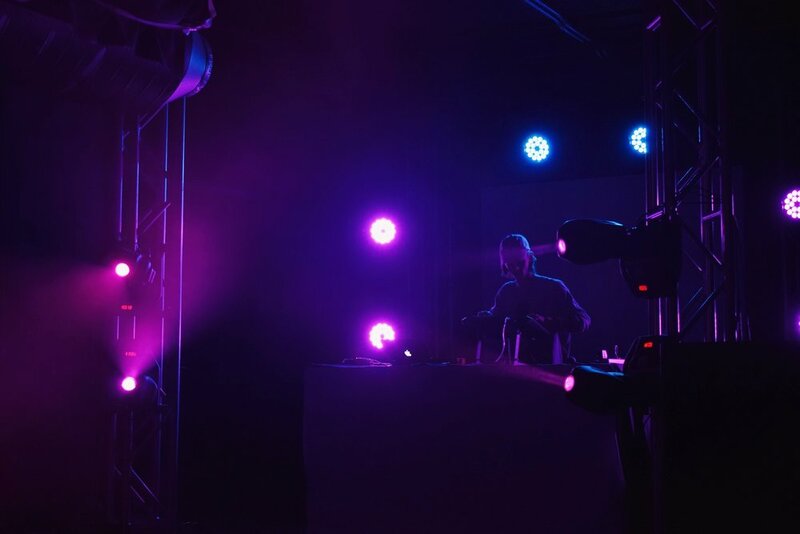 The performance from Chris Weir and Derdy Harry at CU Boulder Club 156 on Wednesday night, was an exhilarating burst of vibrant energy to say the least. Wire’s electronic house beat melded synthesized bass lines, which vibrated the floorboards and bounced off the walls. One could not deny the feeling of the electronic beat coursing throughout their body. The feeling resulted in everything from head-bops to several full-on dancers taking to the center of the floor. Popping colors illuminated the stage in a mesh of blue, yellow, and green hues. Coupled with animated visuals, the entire set produced was incredibly stimulating and lively. Weir’s incorporation of Hip-Hop remixes, as well as his sharp, seamless transitions from piece to piece, all helped to sustain a fast moving, yet consistent flow of music delivery. The beat would rise and drop; every instance was executed beautifully and at a perfect volume. The sound was never overpowering, yet the audience was still heavily encouraged to let loose and feel the music. A variety of vocals, brass and horns allowed for a fun, upbeat vibe from Weir which fueled the dance floor. When asked what was going through his head when on stage Wednesday night, Weir responded “I was mainly worried about if people were liking it. I was always trying to make sure the volume was good. I was a little nervous at first, but soon got into the groove”. Weir explained how in past experiences he usually recycled the same sets and so there was overlap in his performances at house parties but for Wednesday night he created an entirely new set which he didn't finish until Monday. Wire is a member of Keep It Real Records based in Boulder and Denver. He hopes to have more performances similar to those of Club 156 in the future.